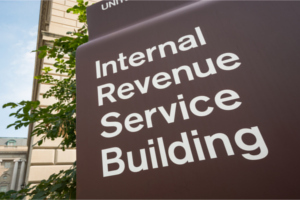 Under the Internal Revenue Code, the rate of interest is determined on a quarterly basis. For taxpayers other than corporations, the overpayment and underpayment rate are the federal short-term rate plus 3 percentage points. Generally, in the case of a corporation, the underpayment rate is the federal short-term rate plus 3 percentage points and the overpayment rate is the federal short-term rate plus 2 percentage points. The rate for large corporate underpayments is the federal short-term rate plus 5 percentage points. The rate on the portion of a corporate overpayment of tax exceeding $10,000 for a taxable period is the federal short-term rate plus 0.5 percent. The interest rates announced today are computed from the federal short-term rate determined during January 2019 to take effect Feb. 1, 2019, based on daily compounding. Revenue Ruling 2019-05 announcing the rates of interest will appear in Internal Revenue Bulletin 2019-11, dated March 11, 2019.